The divide between Stroudsburg and East Stroudsburg in Monroe County runs the length of a bridge over Broadhead Creek. 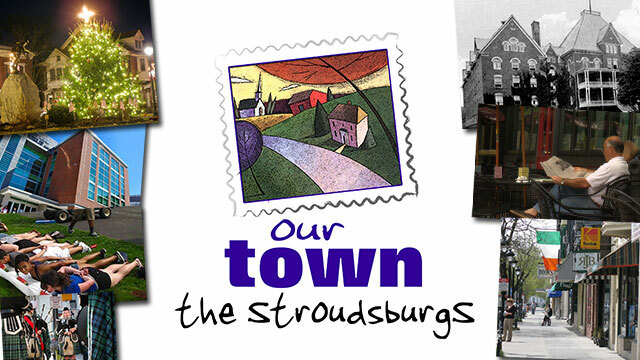 The entire region, known to most as “The Burgs”, has grown to include a state of the art hospital, and an ever engrossing academic atmosphere at East Stroudsburg University. Local merchants in the heart of Stroudsburg boast a trendy attitude with diverse branding; while the historic grandeur of the Monroe County Courthouse is one of the region’s first eco-friendly buildings way before going green was the norm. The historic Sherman Theater has been given new life and luster; and the energy of a thriving arts community can be experienced from Main Street venues right into the heart of the Delaware Water Gap. Get to know the multi-cultural beauty and dynamism of The Burg in Monroe County: where people find it a great place to visit and a better place to call home.